In our previous post, we learned about the benefits of canning. After reading that post I’m sure you’ve decided that you want to give canning a try! 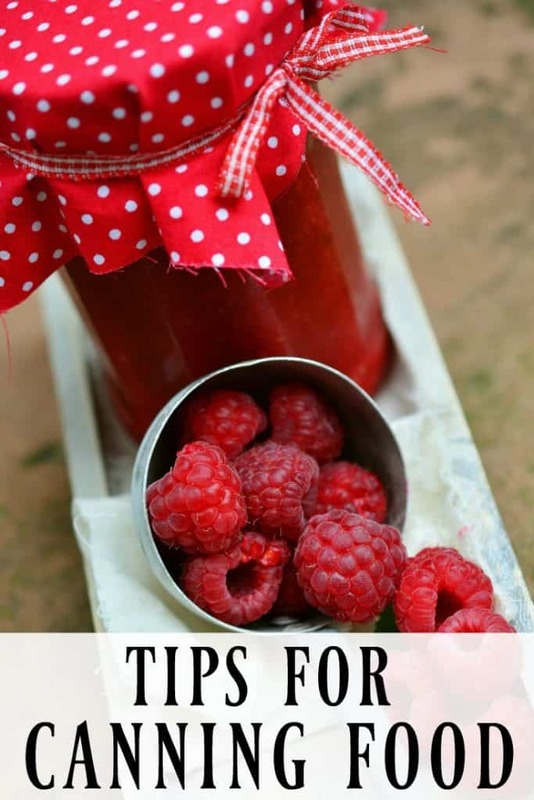 To help you get started in your canning journey, I have asked Kristina to come guest post with her tips on canning and the different methods. Be sure to pick the nicest food to can. Don’t try to preserve anything that is of questionable condition. Only the very best, freshest produce should be used. If you start with poor quality produce that is bruised or overripe, you are not going to get high quality results. 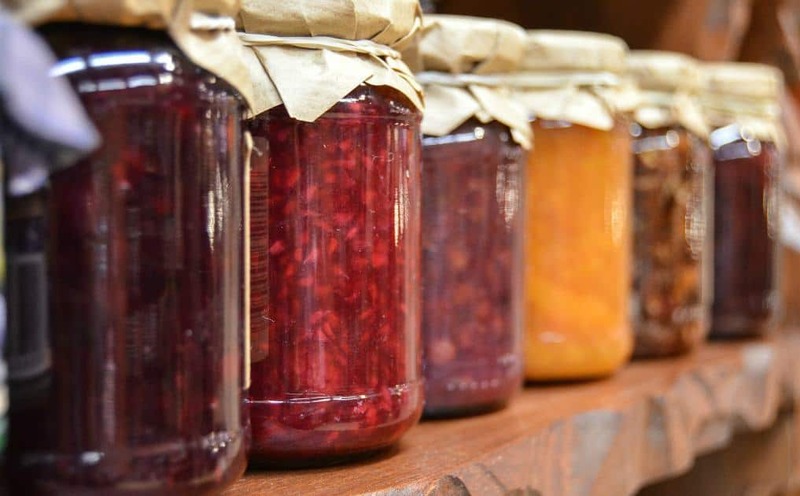 It is best if you can pick your produce the very same day you are going to preserve it. If you are buying your produce from a CSA or Farmers’ Market, tell them that you want to can some and want a short time from picking. I used to buy cucumbers​ from the Hutterite ladies that live not far from my home. I would tell them how many pounds I wanted and that I wanted very small cucumbers, under 2­ 1/2 inches long. They would get up and pick at 6am and by the time I got them into the jars and sealed it was 6pm. Gather all your equipment ahead of and make sure you have everything to complete the process on hand. There is nothing so discouraging as to find you are running out of salt at 8pm, the store is closed and your neighbors are in bed. Try not to bruise the fruits or vegetables, handle them gently. A light syrup has a smaller amount of sweetener than a heavy syrup. You can safely replace the sugar with honey but remember that typically honey is twice as sweet as sugar and so adjust your recipe accordingly. The food is heated together with the brine or syrup in a large pot. Fill the jars with that combination. Hot pack provides slightly more fruit or vegetable per jar because a little of the shrinkage that comes from heating has already occurred. I typically use the raw pack as often as I can. I try to heat the food only as much as absolutely necessary, but I have done it both ways with good success. No matter which method you use,​ you need to follow canning instructions from a canning chart exactly for the food you are preserving. Canning charts change over time and are revised and updated. I sometimes use a very old canning book that was my grandmothers but I often cross check with the newest charts to make sure it is still within the safe guidelines. First we will talk about hot­water bath canning since it is the easiest.​ There are ‘canners’ that are made specifically for this but it is also alright to improvise with this method as long as the basics are taken into consideration. Hot water bath canners are pots large enough to hold several jars with water around them. There is a rack on the bottom to keep the jars from touching the bottom surface of the pot. The water must cover the jars completely and also have a little room around the jars. Then a lid is placed on the pot. It is brought to a boil and held at that boiling temperature for the length of time on the chart. (note: only foods with a high acidic level like tomatoes, pickled vegetables, and fruits can use the hotwater bath method. With pressure canning, you cannot improvise b​ut must use the proper equipment. Your gauge should be checked for accuracy annually. I have found that our County Extension Agency will do this service for free. Pressure canners are filled with a couple inches of water only, the filled jars placed on a rack and the lid is locked on so that the pressure will build until the correct temperature is reached inside. The pressure is regulated by temperature and shows up on a gauge or by a specially designed rocking weight. By watching the pressure gauge or listening to the rocking weight,​ you will know how to adjust the temperature of your burner accordingly. All pressure canners are equipped with the safety measures built in; pressure relief valves that are embedded into the lid guarantee safety. Some older pressure canners have rubber seals where the lid meets the pan and this should be checked for a good fit and no broken areas also. Follow the instructions on the chart exactly for the amount of pressure required and length of time for the size of your jars, and the food being preserved. I thought canning meat wouldn’t be worth the trouble but after canning venison meatballs one year and chicken the next, I learned it is worth all the effort! There are special tools designed for lifting the jars from the scalding water.​ I have a jar lifter that was given to me by my husband’s grandmother and I love it, (you can see it in the photo.) but the modern ones work fine too. When the time is reached, set the jars aside to cool and as they cool, the jars will develop a suction inside and pull the lids down making an air­tight seal. Since I rarely use my wood cook range in the summer months, I place a towel on the surface and use this area to cool my jars. You can check the jars when they are cool by pressing down in the center of the lid. If the lid does not make a popping sound as it is pressed down, then you have a good seal and the jar can then be moved to your storage area. If you ever open a jar of food and it looks off color or smells bad, you should discard it to be on the safe side. Kristina Dahlin is a follower of Jesus Christ. She married the love of her life 34 years ago. She birthed 18 children; six of them are married, three more ran off to college, one went ahead of us to live with Jesus, and there are 8 still living at home. She has 12 grandchildren and is expecting 3 more this summer/fall! She is a farmer and in her spare time; a writer. 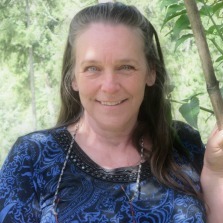 Do you know a really cool way to learn homesteading skills? A restored farmhouse/museum or historical manor! The one in our area Rufus King Manor gives all kinds of workshops and lectures that feature those very skills. They recently had a wool dyeing workshop, a discussion about colonial cooking (using local fare of course) and -a-make-your-own scented sachet project. And children’s programs as well. I think that a historic institution is a great resource.